This was one of those weeks. Nearly 80 miles of solid training for Javelina, which now sits less than 20 days away. I will start thinking goals and strategy for Javelina in the coming days. The best part is that Rick Gaston will be pacing me again - the 4th year in a row at this event. 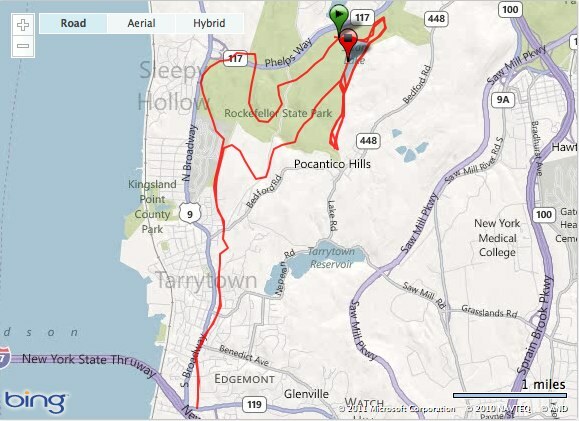 3:25 PM - 5.50 miles in 55:43 at Rockefeller State Park with Wayne B. A nice, easy run to start the week, especially after an intense effort on Saturday (22 miles at 8:40 pace) and an additional 22 miles on Sunday. Legs feel a bit on the tired side. 5:01 AM - 6.60 miles in 1:02:16. 4:40 AM - 9.00 miles in 1:22:25. An early start to beat the rain that was rolling in resulted in a good paced 9 miles. 5:18 AM - 4.20 miles in 35:38. Mixed in a little speed, running at hard effort for 30 seconds every 1k. 5:16 AM - 6.00 miles in 54:35. Wrapped up a nice work-week of running. 4:38 AM - 29.20 miles in 4:43:29. An early start and split - 11 miles in 1:44:40 in my neighborhood. A short drive to meet some friends and another 18.20 miles in 2:58:49 at Rockefeller State Park. 6:32 AM - 19.00 miles in 3:09:04. 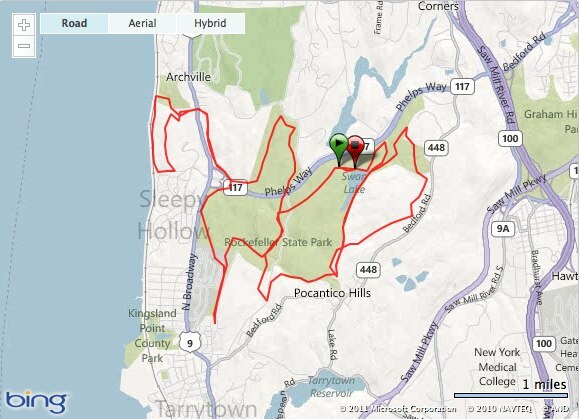 Wrapped up a nearly 80 mile week with an easy long run at Rockefeller State Park with Peter L. and Wayne B.